Deaver is amaxing. Agree book is light years better. 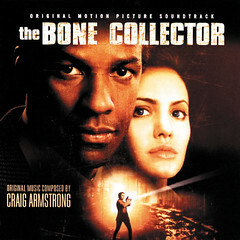 I have finished The Bone Collector! When I picked up from where I left off last week the suspense really started to amp up. The victims the murderer kidnapped were a mother and daughter, which raised the stakes. But with Lincoln Rhyme on the case the perp had no chance. If you only watch the movie you really miss out on the depth of the relationship between Lincoln and Amelia that added to the suspense and anticipation of what would happen next. The ending was completely different from the movie, which is the movies loss. To put it plainly, the movie is a simplistic version of the book with some plot changes.